There is a fine line between the unruly beard of a grizzled mountain hobo and the dashing beard of a world champion. 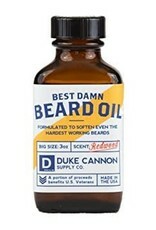 Our Best Damn Beard Oil is 3x the size of the competition and the larger size makes it last longer. The amber apothecary style bottle has a slow drip pour top to reduce spills compared to inferior beard products with messy droppers or wands ..and as an added bonus the Ladies seem to like the smell of freshly split cedar. 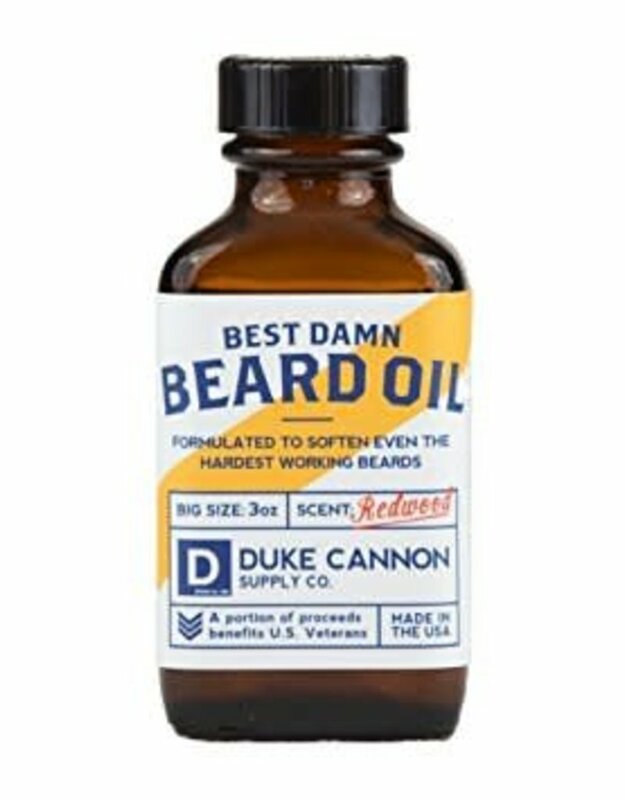 Made with premium natural and organic ingredients such as Apricot Kernel, Argan, and Jojoba oils, it's formulated to soften even the hardest working beards. Rich in Vitamin E, carotene, and antioxidants. These oils are considered beneficial for psoriasis, eczema, and acne as well as keeping your skin moisturized and baby soft.